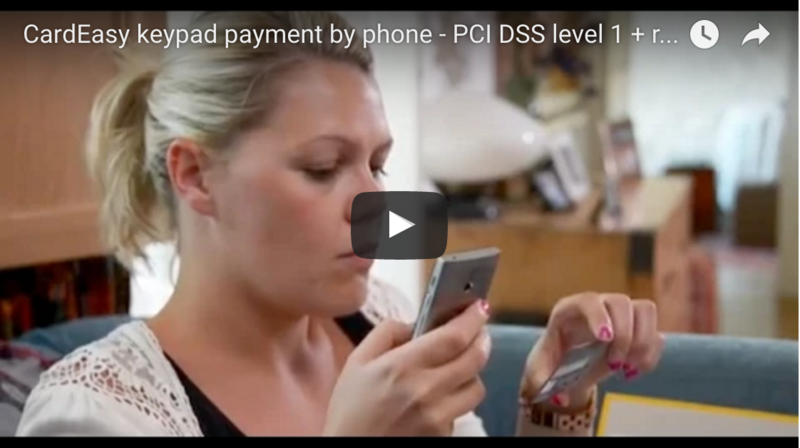 This short video is a live action demo of our fully PCI DSS compliant CardEasy system. 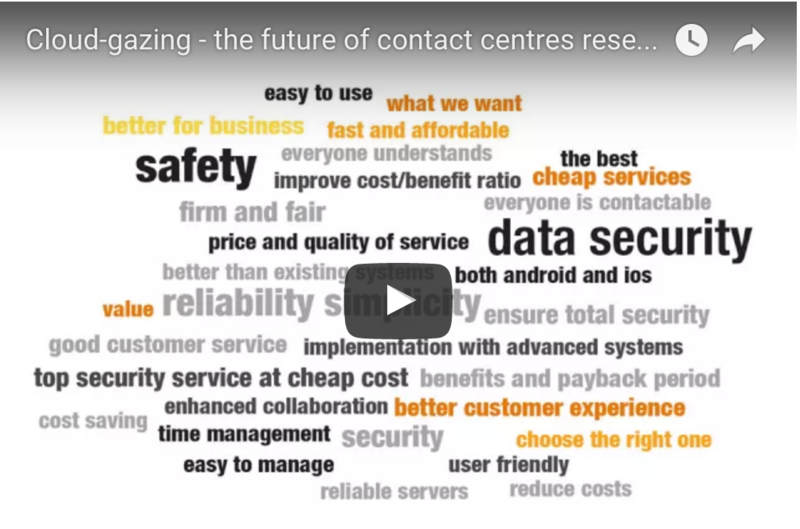 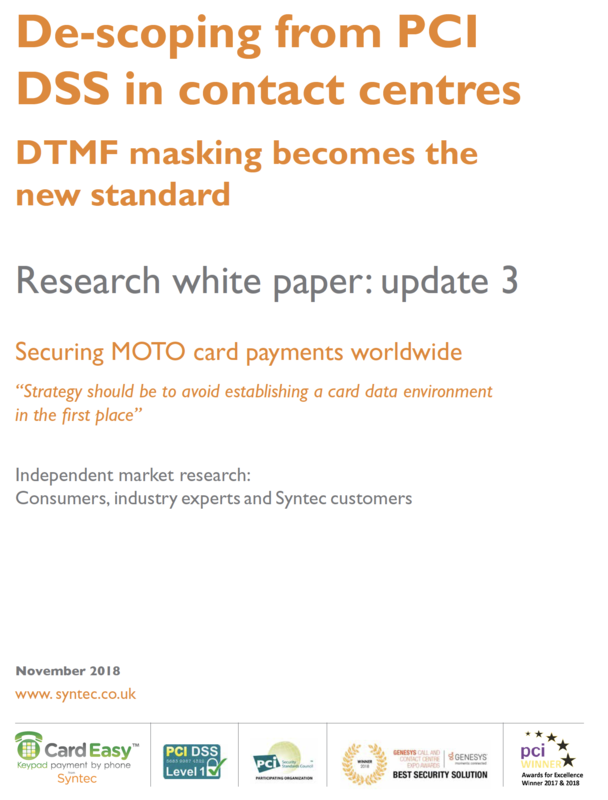 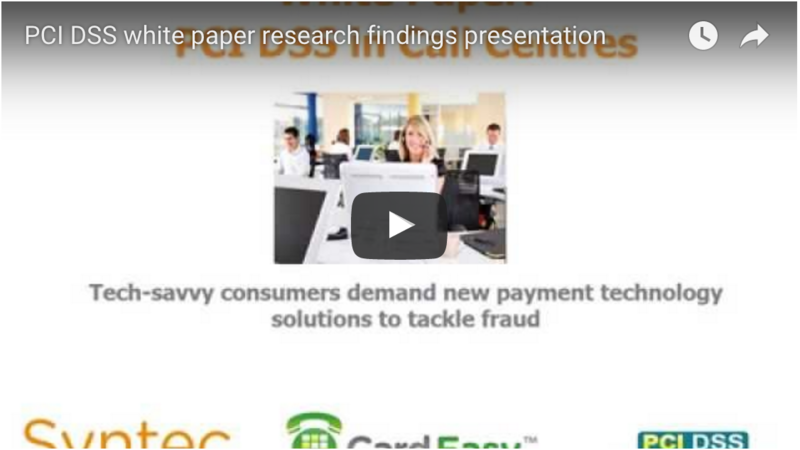 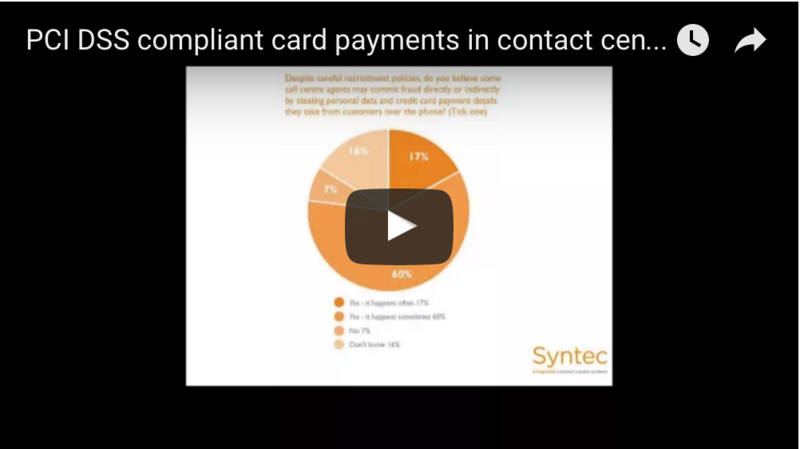 This video presents the findings of our investigation into how contact center leaders and payment service providers (PSPs) are meeting the challenges of Payment Card Industry Data Security Standard (PCI DSS) and card payment security in UK enterprises. 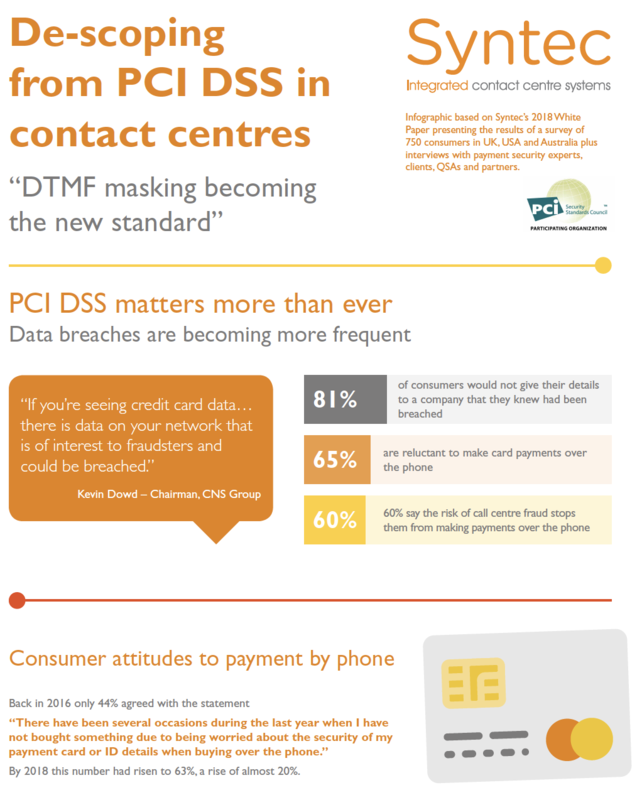 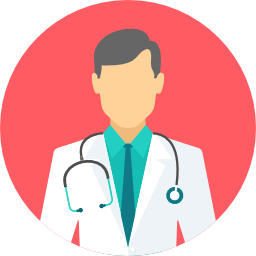 We have also looked into concerns among consumers about card payments over the phone. 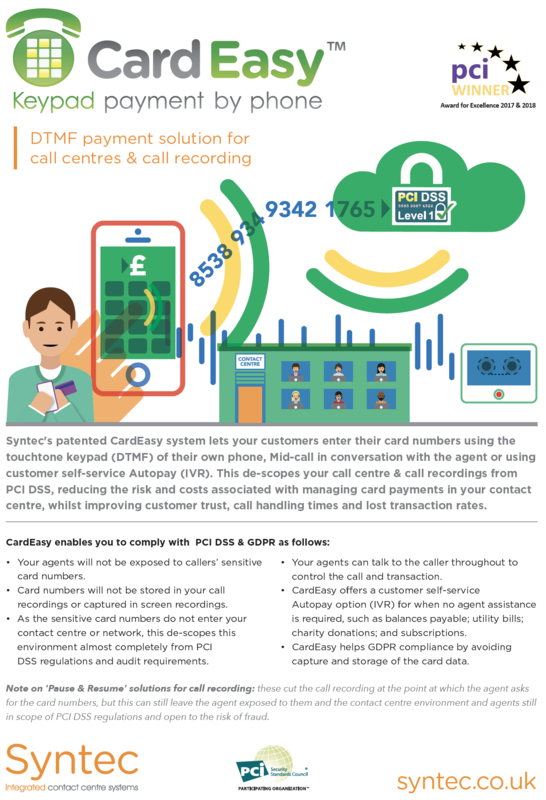 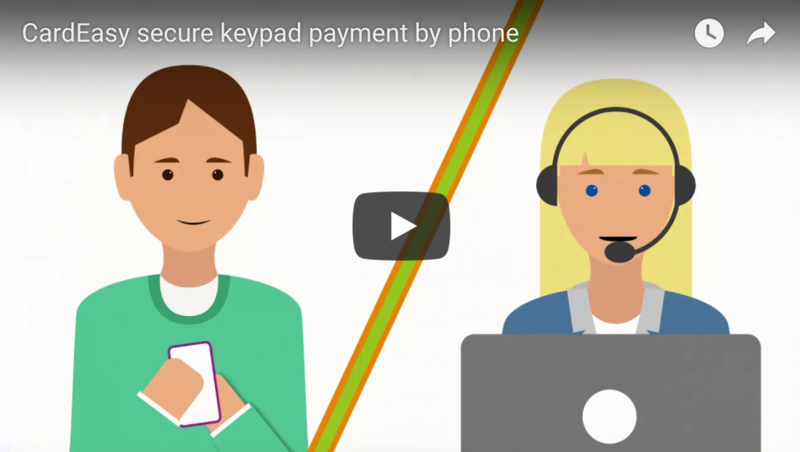 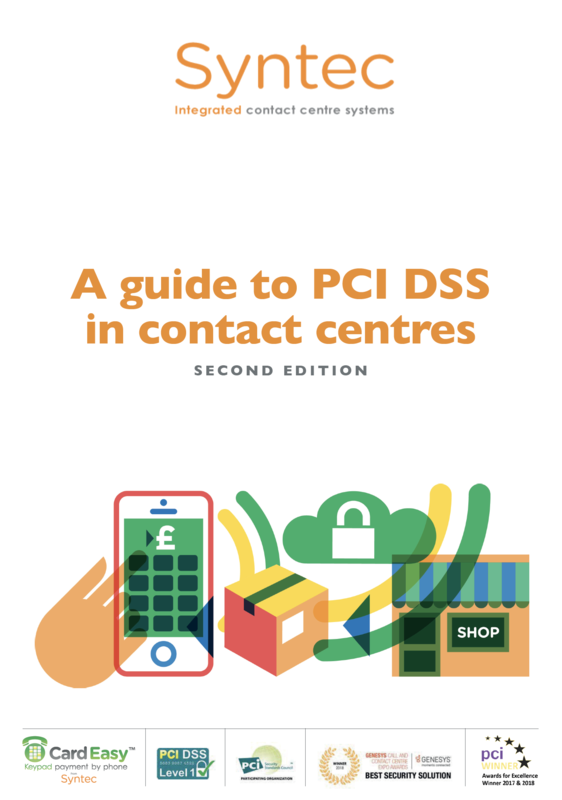 This short video demo shows you how quick and easy it is to take secure card keypad payments by phone using our fully PCI DSS compliant CardEasy system.